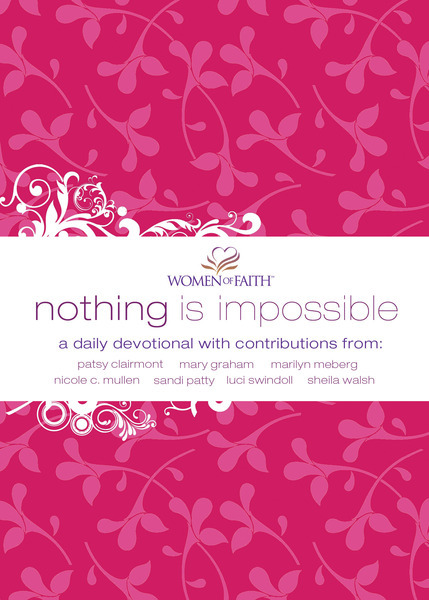 In Nothing Is Impossible, you'll step into the lives of some of your favorite Women of Faith?Mary Graham, Luci Swindoll, Nicole C. Mullen, Marilyn Meberg, Sheila Walsh, Sandi Patty, and Patsy Clairmont?as ordinary moments show themselves to be extraordinary encounters with God. Discover the creative, hilarious, and the heartwarming ways God shows up. Whether it's throwing a birthday party, leaving a child at camp, going on a diet, negotiating with the Tooth Fairy, or falling down in front of a crowd, these stories will inspire (and even challenge) you to take a second look at what appears to be . . . just an ordinary day.